A family run business, with over 30 years experience. From alterations and repairs, to full reconstruction, your driveway is our priority, from initial consultation, through to completion. Do you need a new road, driveway, garden patio or pathway, in Kent or East Sussex? If you are looking for roads, driveways, patios or pathways in Kent and East Sussex, then Staplehurst Driveways would like to help. We are a family run business, with over 30 years experience. We have been able to help many clients over the past three decades, redesigning and rebuidling their outside spaces to enable them to enjoy their property to the full. Whether that be more convenient parking solutions or accomodating al fresco family entertaining, we have made that difference. Your preferences can be accomodated using our range of high quality materials. We offer a wide variety of driveway materials for you to choose from, including block paving and paving slabs, tarmac, gravel, tar and chip driveways and resin bonding. We are able to support any brickwork or kerbing builds, and also meet your excavation and drainage requirements. Given the recent winter weather this season, all over the county people are turning to Staplehurst Driveways to reconstruct water damaged brickwork and other hard standing sufaces. Through this winter, it has become clear to many, how vital good drainage can be, in and around their properties. Kerbing and construction, excavation and drainage - Staplehurst Driveways can offer it all. Please see our gallery and testimonials for further information about our successful projects and satisified customers. 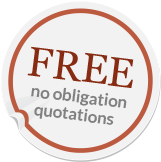 Contact us to discuss your free, no obligation quotation.